OFTEN IMITATED BUT NEVER EQUALED! Enrollment is limited in order to enable a participant to faculty ratio 4:1. This ensures that every participant has an unparalleled opportunity to improve their technique and musicianship. This unique seminar and retreat offers intense daily schedules and the curriculum is tailored to the needs and goals of each individual participant. Schedule includes private lessons, master classes, horn ensembles, mock orchestral auditions, informal performances and public concerts. The faculty of KBHC includes the top players and teachers in the country and beyond. Campers work with these renowned soloists, members of top orchestras, and faculty of illustrious schools of music in individualized settings. 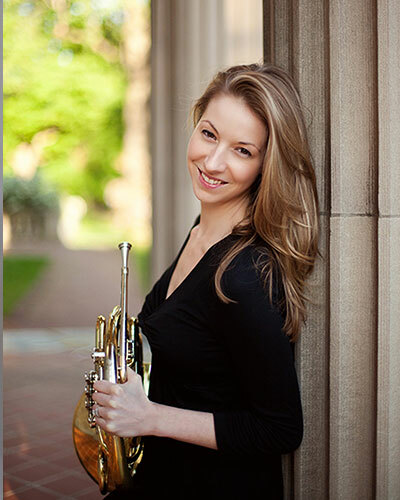 Our faculty spans genres and teaching styles, and includes specialists on solo works, orchestral playing, improvisation, jazz, and natural horn. 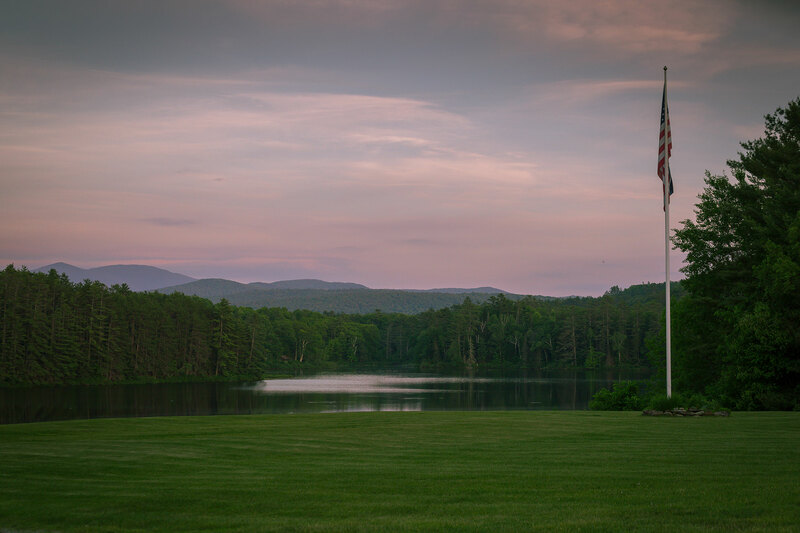 Located on 300 acres in the stunning White Mountains of northern New Hampshire with breathtaking views of Mount Lafayette, Camp Ogontz is where we call home. 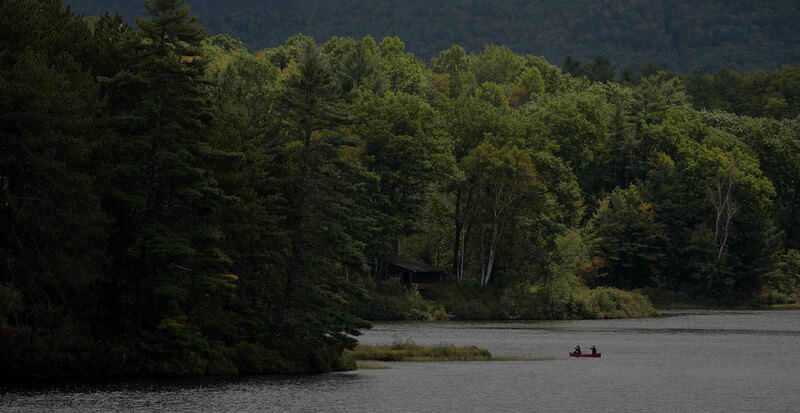 The camp is very rustic and includes log-cabin accommodation, meeting halls and lodges, a dining hall where wonderful home-cooked meals are served, a recital hall, tennis courts, a secluded lake, pine woods, hiking trails beside streams and waterfalls, and spectacular mountain views. The atmosphere is informal and conducive to study and relaxation. Living space is quite varied and includes rustic “Adirondack” style log cabins, dormitory type cabins and lodges. All have electricity and some have indoor bath facilities. Shower rooms and toilet facilities are always nearby. Linens may be rented for a nominal fee or you can bring your own. Accommodations are assigned by age group by the KBHC staff. Ogontz is run on a cooperative plan; all KBHC participants, faculty and staff will be asked to help with food preparation and chores. These duties are non-demanding and generally contribute to the atmosphere of camaraderie and cordiality which pervades this unique enterprise. Participants leave with new knowledge of music and the horn, better technique and musicianship, and a renewed confidence in themselves and their desire to achieve. 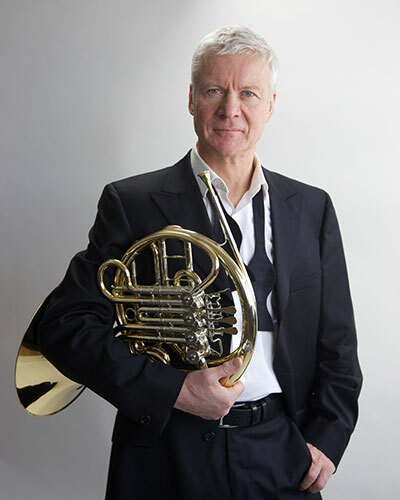 When I was elected to the Advisory Council of the International Horn Society in 1993, I began attending the annual International Horn Workshops where I became acquainted with many horn players of various ages, backgrounds, abilities and accomplishments. These musicians fell into four categories: Amateurs, Educators, Professionals and Students. In talking to the many individuals of these diverse groups, I discovered that most of them had a need for instruction in the various aspects of horn playing from the very simplest fundamental techniques to the most complex interpretive problems of the repertoire. Many said that they would be interested in participating in an intense program of study and performance. As I thought about their remarks, I created the concept of an intense seminar and retreat where horn players of all ages would gather for a period of time to study with the finest faculty and perform. It also occurred to me that this should take place in a pleasant and isolated location so to heighten the concentration levels of the participants and give them a truly unique environment in which to grow musically. I approached the administration of the White Mountain School who were most receptive to the idea and the first Kendall Betts Horn Camp was scheduled for a week in June 1995. Over the next four years, KBHC grew from a relatively informal one-week program (the first two years with a small faculty) to the present two-week seminar and retreat. Our faculty and guests included Vince Barbee, Mary Bisson, William Capps, Kristen Hansen, Michael Hatfield, Greg Hustis, David Kaslow, Peter Kurau, Walter Lawson, Abby Mayer, David Ohanian, Soichiro Ohno, Bob Osmun, Milton Phibbs, Jean Rife, Eric Ruske, Julie Schleif, James Thatcher, Michael Thompson, and Barry Tuckwell along with collaborative pianists Patti Wolf and Steven Harlos. Each camp was different in both schedule and character, and through new experiences I learned how to improve each subsequent program for the benefit of all the participants. This culminated at KBHC in 1999 which brought major changes and improvements to the program. The biggest change was our location as we moved to Camp Ogontz in Lyman, NH, 12 miles south of Littleton. 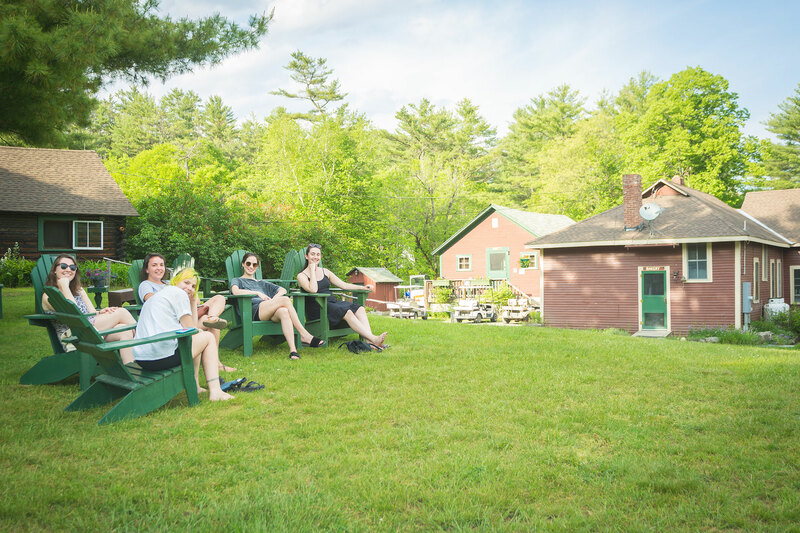 Camp Ogontz, with its many buildings and cabins, is more isolated and rustic and gave us room to “spread out.” The food is fantastic not to mention the views of Mt. Lafayette and the lake. The entire faculty now stays on campus so there is much more opportunity for interaction outside of the schedule between participants and faculty. Enrollment was capped and the faculty enlarged to give us a participant to faculty ratio of 4:1. This provided for smaller classes, more private lessons and the addition of open studios. KBHC 2000 – 2015 have all proven to be exceptional programs. In addition to the return of many previous faculty members, we have welcomed Jacquelyn Adams, Jeffrey Agrell, Hermann Baumann, Carolyn Blice, James Decker, Lin Foulk, Michel Garcin-Marrou, Randy Gardner, Lowell Greer, Martin Hackelman, Don Haddad, Douglas Hill, Soren Hermansson, Robert Holye, Patrick Hughes, Charles Kavalovski, Roger Kaza, David Krehbiel, Kazmierz Machala, Richard Mackey, Eldon Matlick, Ethel Merker, Jennifer Montone, Jeff Nelsen, Andrew Pelletier, Robert Routch, Morris Secon, Karen Schneider, Bernhard Scully, Ellen Dinwiddie Smith, Edwin Thayer, Kerry Turner and collaborative pianists Eric Charnofsky, Tomoko Kanamaru, Arlene Kies, Gregory Millar and Elaine M. Ross. The enlarged faculty and improved schedule helped the faculty to spend more individual time with participants. In addition, improvements at Camp Ogontz gave us more studio space and better facilities. We again had two public performances each week. My goal is to have the best possible horn experience in the world for all involved. My philosophy of teaching at the camp is to give every participant the opportunity to become the best musician they can be through proper instruction and dedicated support. Participants leave with new knowledge of music and the horn, better technique and musicianship and a renewed confidence in themselves and their desire to achieve. The entire faculty echoes my Socratic approach so that there is a particular sense of unity throughout the session. This, coupled with the joy of playing music on the horn, gives participants and faculty alike a truly unique and remarkable musical and personal experience. After 23 years, there are 898 alumni from Australia, Canada, China, Germany, Hong Kong, Italy, Japan, Malaysia, New Zealand, Poland, Singapore, South Korea, Thailand, The United Kingdom, and the United States, ranging in age from 14 to 86 years old. KBHC 2018 will build on the experiences of all of the twenty-three previous camps. Camp Ogontz continues to make improvements to their facilities to better accommodate us, most notably the completion of the new Ogontz Hall, in which KBHC gave the inaugural public concerts in 2013. We are constantly getting input from alumni, faculty, and staff and we use these suggestions to improve every aspect of the program. From full three-week faculty to weekly staff, Kendall Betts Horn Camp welcomes the brightest and most accomplished instructors to camp each year. Stay up to date with camp events, scholarships, performances, deadlines and more.